RMD is using Smore newsletters to spread the word online. Many of them are seen to reside near the Northern reaches of Russia where many of the forests are located. The density of the forest offered great safety to the tigers, but only recently have many humans begun invading their habitat. This region can also be called the Boreal Forest. One of the most prominent roles it plays is that it maintains the food chain as it only hunts flesh and no natural substances. Furthermore, they pass on all they know about hunting to their cubs as they train them thoroughly to make sure that they are ready for the “real world”. The value is that they are critical to maintaining the biodiversity on the planet. Furthermore, their bones are highly valued in China for medicinal purposes. Causes for endangerment - Over-hunting, poaching, and use for medicinal purposes of the species has led to a substantial demise in their numbers. Among all, it was a great source of revenue for those that captured them. It would have an irreversible effect on the local ecology involving a proliferation in the amount of species that they consume and a drop in the amount of flora and fauna there is. That would make it harder for smaller insects to get their food and would result in an imbalance within the food chain. The rate of loss is approximately 75-85% of all deaths can be attributed to the humans. Furthermore, more than 30 Siberian tigers are poached in the far reaches of Russia each year (although the numbers are said to be higher than that). Shows how Russia is trying to help with saving the Siberian Tiger population. Bald Eagles tend to live near large bodies of water such as place near lakes, marshes, and rivers, where there are plenty of fish for them to feed off of. The niche of the bald eagle eats fish and it seeks to drive away the golden eagle from its territory, thus protecting all the land animals that might fall prey to the golden eagle. Furthermore, they help to stabilize the island fox population. Their value is substantial as their viewing of bald eagles in many states is strongly tied to economy, making bird viewing a highly profitable service. In the ecological sense, the bald eagle plays a key role in the environment by eating the dead animals matter to help with the nature cleanup process. It provides the aesthetic beauty and appeal to the environment, thus giving reason as to why it may be our national bird. Some of the main causes for endangerment and demise was due to the human interactions that were posed. Near the peak of the twentieth-century, human population in North America began to climb at an exponential rate, which led to more human development. This resulted in large-scale deforestation for land to settle on, thus reversing the trend of the population. Consequences for their loss would cause loss of biodiversity due to the fact the prey of the golden eagle would be able to prosper and would eat a surplus amount of food from plants. This would lead to less food that is available in the first trophic level, thus collapsing the other trophic levels. The bald eagles were dying at a rather phenomenal rate, but due to the Bald and Golden eagle protection act that was put out by the federal government, the bald eagle has been able to make a substantial recovery from its previous status, thus marking it off the endangered species list. Fossil records indicate the main populations of woolly mammoths were in northern North America and northern Eurasia. The niche of a mammoth was similar to the niche of modern elephants. They primarily ate grass, like modern elephants. Also like elephants, they occasionally ate leaves and fruits. When Mammoths roamed the earth their value was in their hide, tusks, and meat and were hunted daily by the indigenous people. If they were still alive today we might have seen more species of giant mammals like the elephant. Hunting by humans also maybe a meteor strike but most scientists believe that it was a number of circumstances that led to the extinction of the woolly mammoth. There were some minor consequences of the woolly mammoth going extinct but nothing major enough to damage the ecosystem entirely. Though, if they did not go extinct, we would have had plenty of more biodiversity through the evolution of life. There has been a constant lost from 11,000 BC to 6,600 BC. Since then, there has obviously no longer been any sort of loss due to the fact that the species has gone extinct ever since. "TED Case Studies." Tiger Trade. N.p., n.d. Web. 29 Dec. 2012. <http://www1.american.edu/ted/tiger.htm>. "Siberian Tiger Facts." Siberian Light Atom. N.p., n.d. Web. 29 Dec. 2012. <http://siberianlight.net/siberian-tiger-facts/>. "Siberian Tiger." National Geographic. N.p., n.d. Web. 29 Dec. 2012. 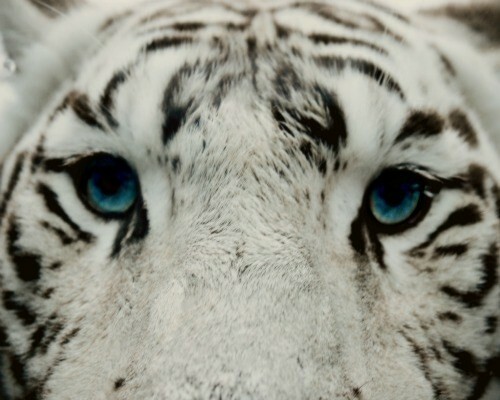 <http://animals.nationalgeographic.com/animals/mammals/siberian-tiger/>. "What If Tigers Did Become Extinct?" WWF. N.p., n.d. Web. 29 Dec. 2012. <http://wwf.panda.org/what_we_do/endangered_species/tigers/last_of_the_tigers/what_if_tigers_did_become_extinct_/>. "The Amur Tiger: Conservation Threats." The Amur Tiger: Conservation Threats. WCS Russia, n.d. Web. 29 Dec. 2012. "MAMMOTH ORIGIN AND EVOLUTION." Mammoth Facts. N.p., n.d. Web. 07 Jan. 2013. <http://www.principia.edu/mammoth/mammothfacts.htm>. Howard, Jacqueline. "Woolly Mammoths Killed Off By Climate Change, Habitat Shifts & Hunting, Scientists Say." The Huffington Post. TheHuffingtonPost.com, 12 June 2012. Web. 07 Jan. 2013. <http://www.huffingtonpost.com/2012/06/12/woolly-mammoth-extinction-climate_n_1589991.html>. "Woolly Mammoth." About.com Dinosaurs. N.p., n.d. Web. 07 Jan. 2013. <http://dinosaurs.about.com/od/mesozoicmammals/p/mammuthus.htm>. "Mammoths Wiped Out By Multiple Killers." LiveScience.com. N.p., n.d. Web. 07 Jan. 2013. 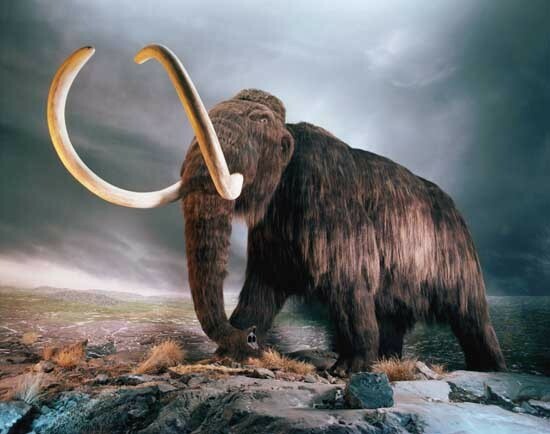 <http://www.livescience.com/20894-woolly-mammoths-extinction.html>. "Climate Change, Then Humans, Drove Mammoths Extinct." National Geographic. National Geographic Society, n.d. Web. 07 Jan. 2013. <http://news.nationalgeographic.com/news/2008/04/080401-mammoth-extinction.html>. "ANIMAL BYTES - Bald Eagle." ANIMAL BYTES - Bald Eagle. N.p., n.d. Web. 06 Jan. 2013. <http://www.seaworld.org/animal-info/animal-bytes/animalia/eumetazoa/coelomates/deuterostomes/chordata/craniata/aves/falconiformes/bald-eagle.htm>. "Bald Eagle Habitat." Bald Eagle Habitat. N.p., n.d. Web. 06 Jan. 2013. <http://seaking.ipage.com/bald_eagle_habitat.htm>. "Bald Eagle." - National Wildlife Federation. N.p., n.d. Web. 06 Jan. 2013. 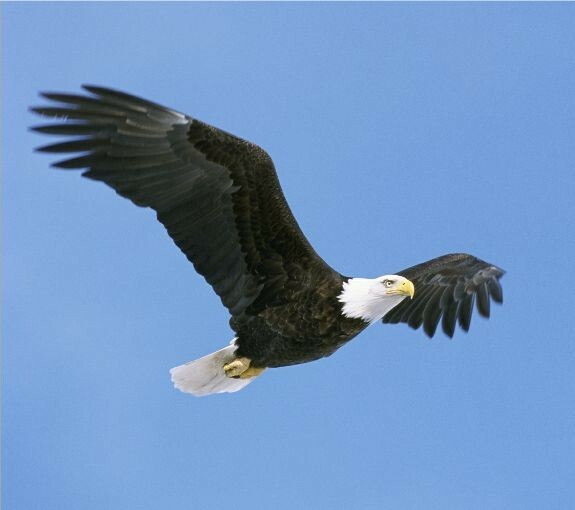 <http://www.nwf.org/wildlife/wildlife-library/birds/bald-eagle.aspx>. "Bald Eagle." Lincoln Park Zoo. N.p., n.d. Web. 06 Jan. 2013. <http://www.lpzoo.org/animals/factsheet/bald-eagle>. "The Nature Conservancy. Protecting Nature. Preserving Life.â¢." Information on the Bald Eagle. N.p., n.d. Web. 06 Jan. 2013. <http://www.nature.org/newsfeatures/specialfeatures/animals/birds/bald-eagle.xml>. "What Are Some Values of Bald Eagles? | American Eagle Foundation." American Eagle Foundation. N.p., n.d. Web. 06 Jan. 2013. <http://americaneaglefoundation.wordpress.com/2011/03/02/what-are-some-values-of-bald-eagles/>.